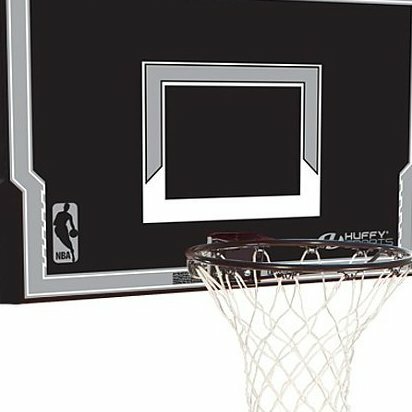 Backboard/rim combo designed to mount to square pole or wall. 44-inch Advanced Eco-Composite backboard for superior rebounding. Made using 40 percent less plastic than traditional units. Solid steel rim is durable and stable for consistent bounce. Includes all-weather net; Huffy and NBA logos.